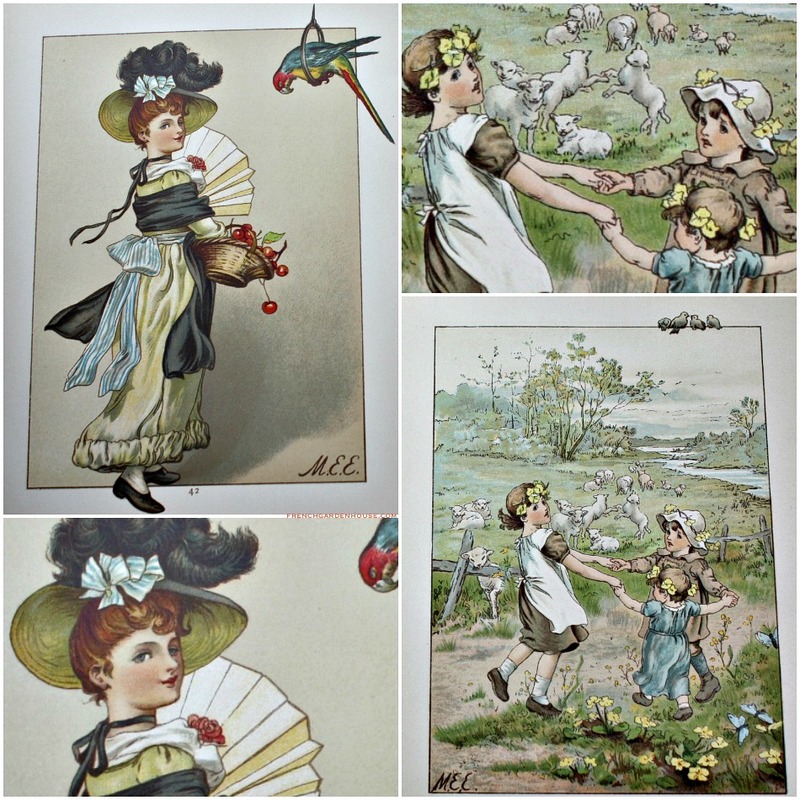 Exceptional 19th century children's book, with full color lithographs that are amazing. Presumed the first edition, this book is one of my all time favorites. Dates to 1885, this is the most rare to find by this very popular late Victorian British children's author Fred E. Weatherly. 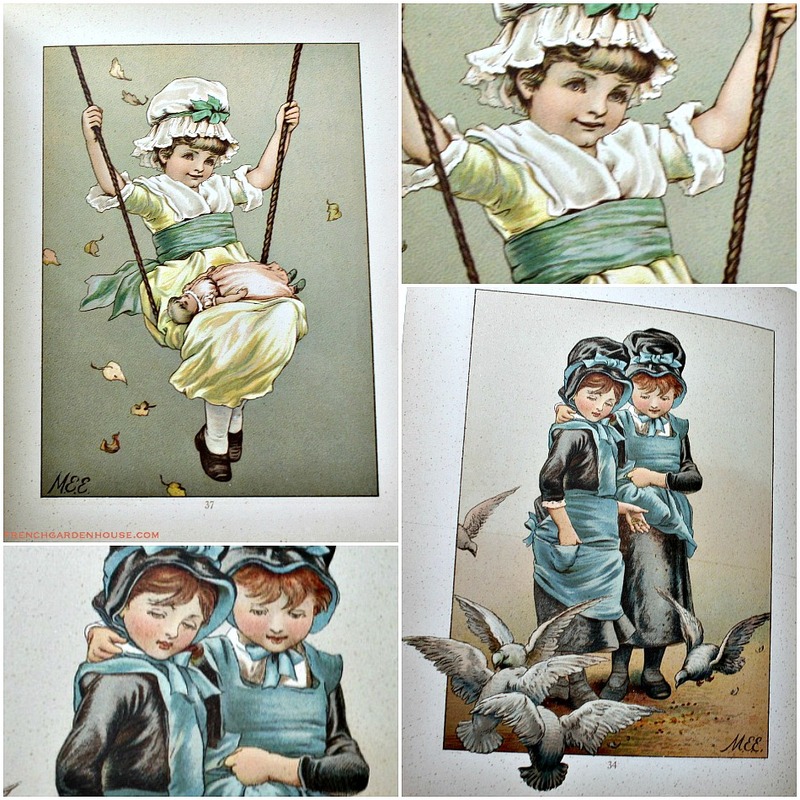 The prose is lovely, but it is the full color lithographs that make this one of the most gorgeous collectible Victorian story books. There are 25 color plates, and 30 vignettes in mono color. Each one is divine. 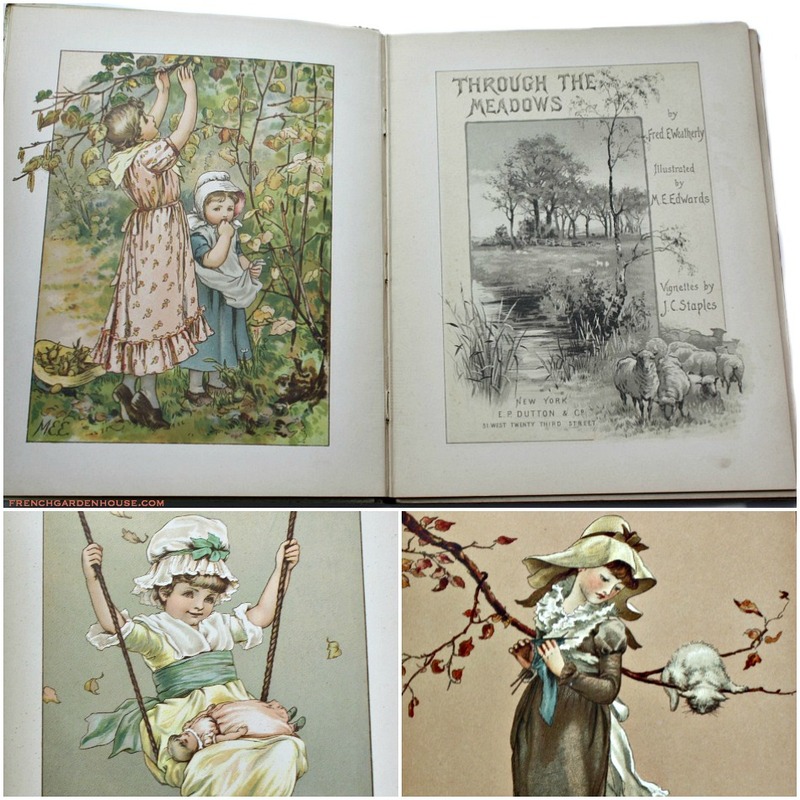 There are children playing dress up, at the oceanside, in the meadow, in the spring, summer, fall, and winter, with cats, rabbits, dogs, and birds...you will fall in love with the illustrations. 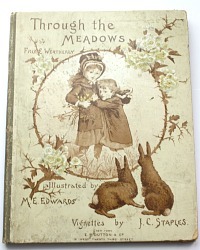 A popular British illustrator, M.E. Edwards is a master at capturing children in her own sweet manner. I rarely find a book like this in this condition, most are ripped apart because the prints are sold individually. A joy to add to your collection. The cover has done a good job keeping the pages intact, there is wear and bumped corners as you would expect, all pages are together .